← More proof that Spring has finally arrived. 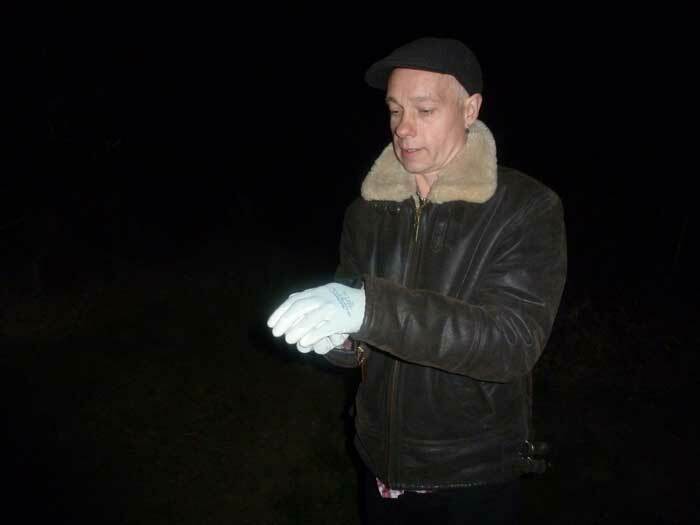 Last night the good weather continued so Hedj and Kel took the opportunity to return the now podgier Natterer’s bat to the wild. 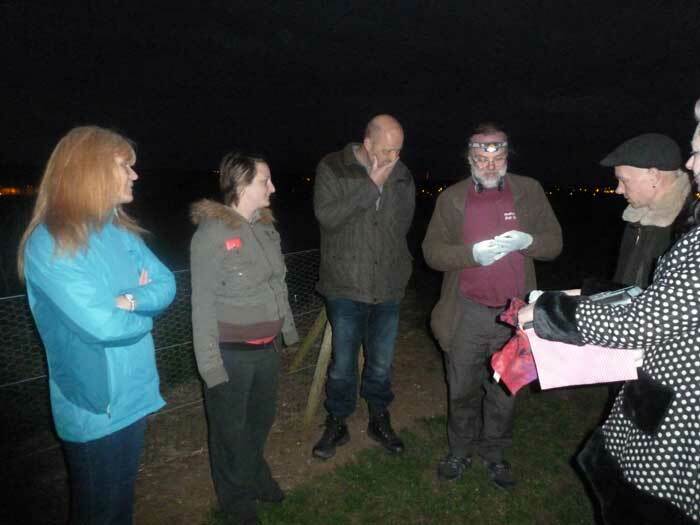 They were joined by the people who found her and by Bob and I.
Kel has reported that the bat was very keen to be free, having wriggled out of Hedj’s grip the previous night and played “Catch me if you can”. It was one very perky bat who sat in the vivarium prior to release. Her finders commented that she looked a totally different creature from the dehydrated beast they first rescued. Hedj was given the honour of releasing her and she went off, as Kelly described it, like a greased ferret, and so thwarted my attempt to get a picture of the actual moment of liberation. In a flash she headed back into the wood and all too soon the sounds of her echolocation had gone. 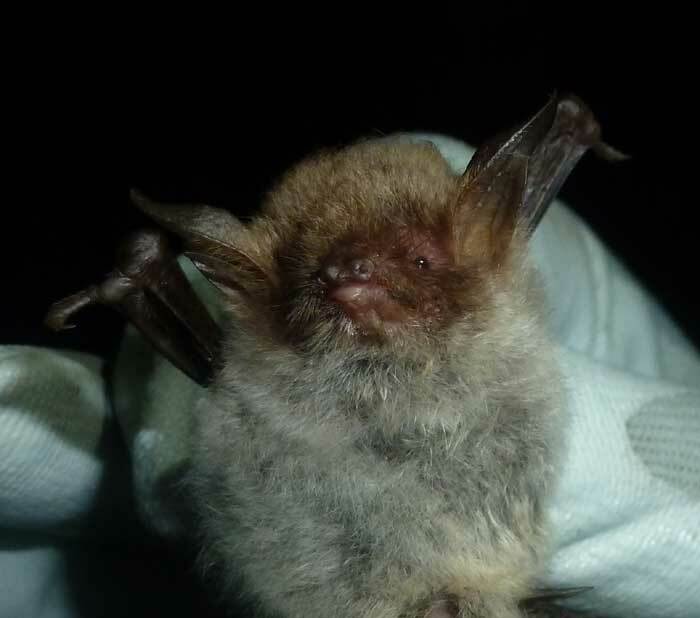 This year would seem to be one in which a lot of bats are found grounded.so far .If you find a grounded bat ,please contact the Bat Conservation Trust 24 hour bat helpline on 0845 1300 228 and they will pass the information on to the relevant bat group. This entry was posted in Uncategorized and tagged bat care, Natterer's. Bookmark the permalink.